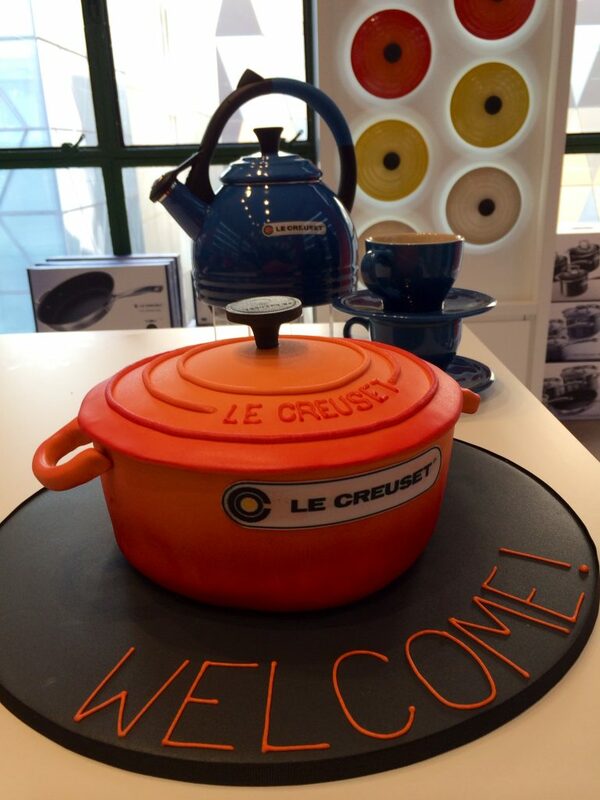 Colourful cooking is easy with Le Creuset cookware; the brand launching its second stand alone store in Australia at Melbourne’s Emporium. The cookware brand, a perennial favourite of professional and home cooks, has set up shop with an amazing array of its famous cookware and tableware, in the bright colours that its known for. The wonderful thing about the Le Creuset store is that you can find most, if not all, cookware to satisfy your cooking needs. The store carries the full range of its famous cast iron cookware including the popular round casserole, square grill, roasting pans and skillets, and also its full range of serve ware and cooking utensils. Not only will you find everything for cooking in your kitchen, but you’ll also find it in a colour that will certainly brighten up your kitchen. The Le Creuset ranges come in a variety of colours including the popular Volcanic (a beautiful lava orange), Cerise (cherry red) and Cobalt Blue, and also includes the newest colour additions Soleil (sunshine yellow) and Marseilles (a brilliant sea blue). The store will also stock the new World Cuisine Collection from July 1. The new range is inspired by some of the most popular cuisines from across the globe including Chinese, Spanish, French and Moroccan. There are ten pieces available in both Cast Iron cookware and oven-to-table Stoneware ranges, the collection offers a range of stylish and exciting new shapes that are not only delivering perfect cooking performance but will also add a dimension of colour to the table. The Le Creuset World Cuisine Cast Iron range comprises five exciting cooking pieces: a new Wok, a new Paella Pan and a new Terrine, all available in favourite Le Creuset Cast Iron colour Cerise. 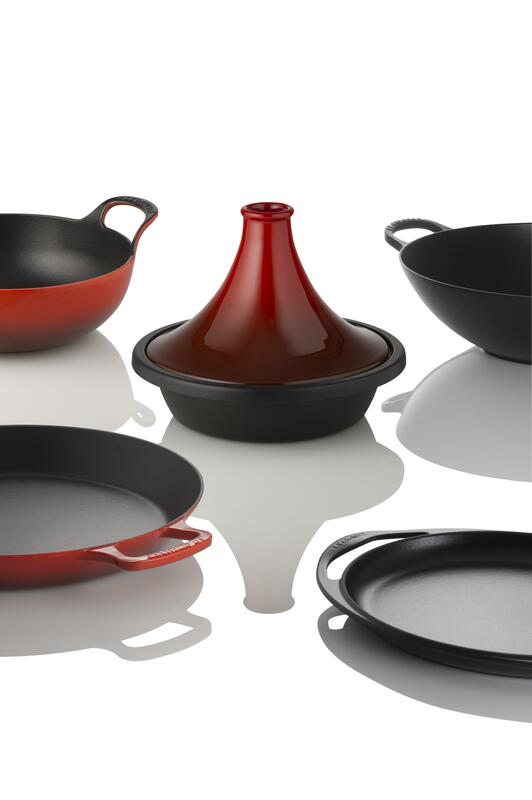 The range is complete with the Tatin Dish and the elegant Tagine which is also available in classic tone Dune. Covered by a Lifetime Guarantee, the Le Creuset World Cuisine Cast Iron range provides even heat distribution that delivers outstanding cooking results, whilst the superb heat retention ensures food stays warmer for longer. The Le Creuset World Cuisine Stoneware range consists of five versatile serving pieces which complement the world cuisine cast iron cookware pieces perfectly: a Stoneware Terrine Dish with Press, a Mini and Midi Casserole, Multibowl and Fruit/Pasta Bowl, also available in Cerise. Guaranteed for 5 years, Le Creuset Stoneware is suitable for use in the oven, microwave, under the grill and in the freezer. 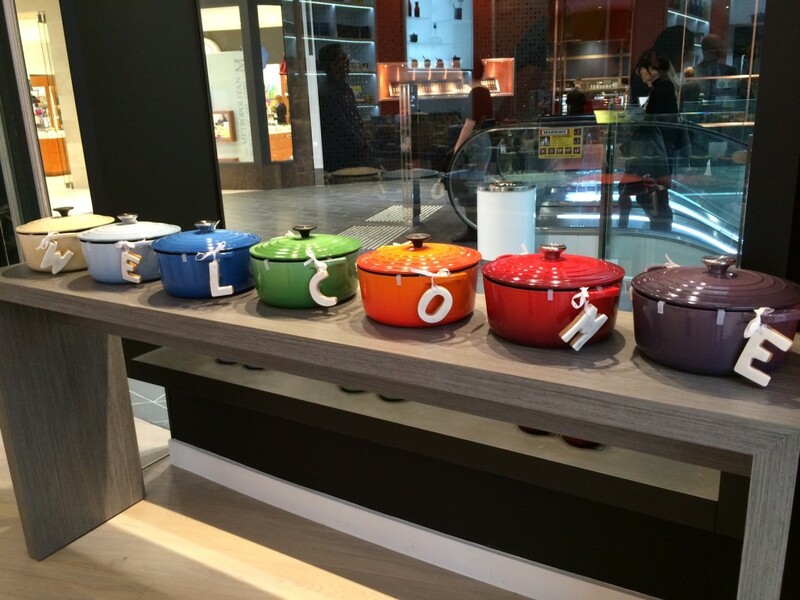 So add a little bit of colour to your kitchen with Le Creuset and head down to their new store at Emporium Melbourne. 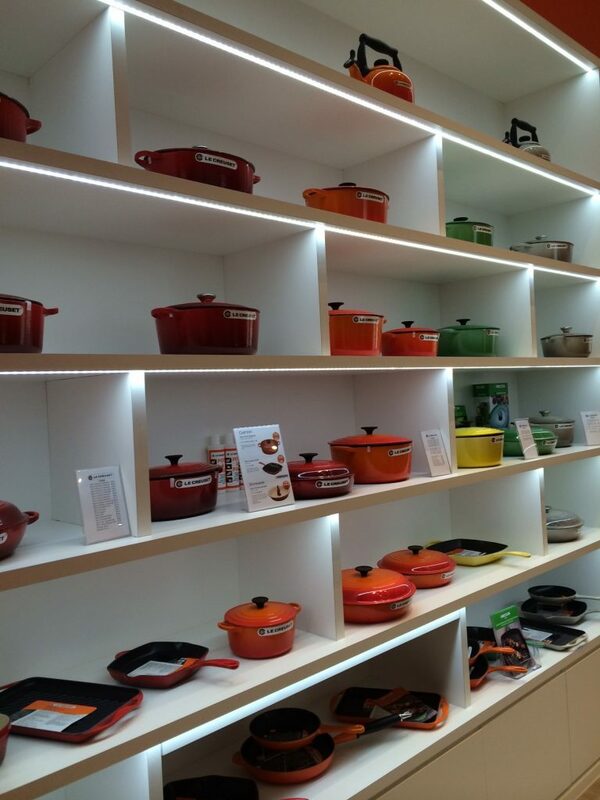 Or if you can’t make it there, you can always find the range online at the Le Creuset website. 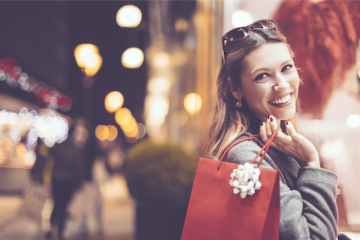 LAST MINUTE SHOPPING? EMPORIUM MELBOURNE ARE GIVING AWAY FREE PARKING TO HELP!